Directed by E.oni. South Korea. 2018. 117 min. Korean with English subtitles. 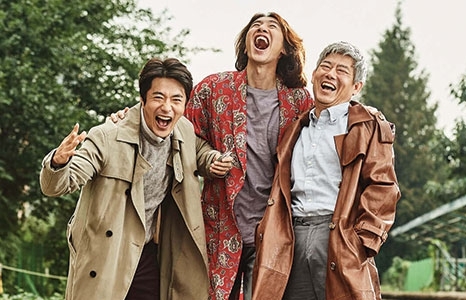 Starring Sang-woo Kwon, Dong-il Sung, Kwang-soo Lee. A sequel to a 2015 Korean hit, The Accidental Detective 2: In Action reunites stars Kwon Sang-woo and Sung Dong-il. Comic book store keeper Dae-man and legendary homicide detective, Tae-su, who met on previous case, quit their jobs to open a private detective agency. Despite their high hopes, they soon find themselves with trivial cases such as spouse infidelity, unpaid debt, and missing cats. One day a woman offers a reward of $50,000 to find the truth behind the death of her fiancé. Dae-man and Tae-su see it as an opportunity to put their true detective skills to work. They onboard a third member, Yeochi—a Mensa genius and small-time online private eye—and together they launch a full-fledged investigation on the case. The film screens along with the original hit The Accidental Detective. Read The Los Angeles Times review.